Hardwood Flooring Services Palatine | Gehrke's Hardwood Flooring Inc.
Every project we carry out is unique to its own space. You have countless possibilities to achieve the style you’re looking for. We source only the finest quality timber and use commercial-grade stains and varnishes designed to last for decades with the proper treatment and care. Read on to explore your options. For a full transformation of a room, multiple rooms, an entire floor or even the whole house, we are equipped to handle the full spectrum of services. 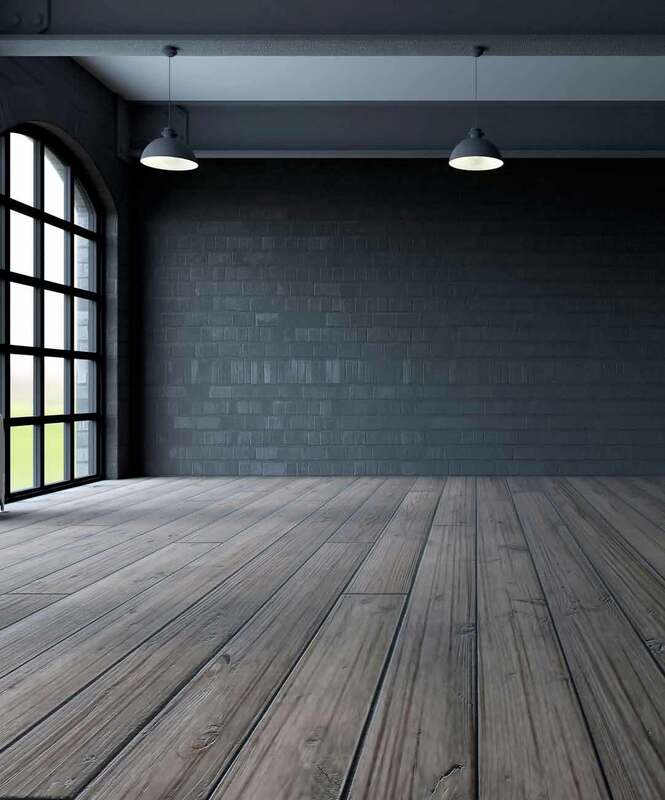 We demo and remove old flooring, repair and/or replace subflooring, install, sand and finish the carefully selected planks of your new hardwood floors. We also offer a selection of trims, custom inlays and medallions to complete your style. We can match any type of wood, color and finish necessary to repair damage to your existing hardwood floors. Whether your floors require surface repair, or whole sections repaired or replaced, we will have your floors back to their original perfection before you know it. 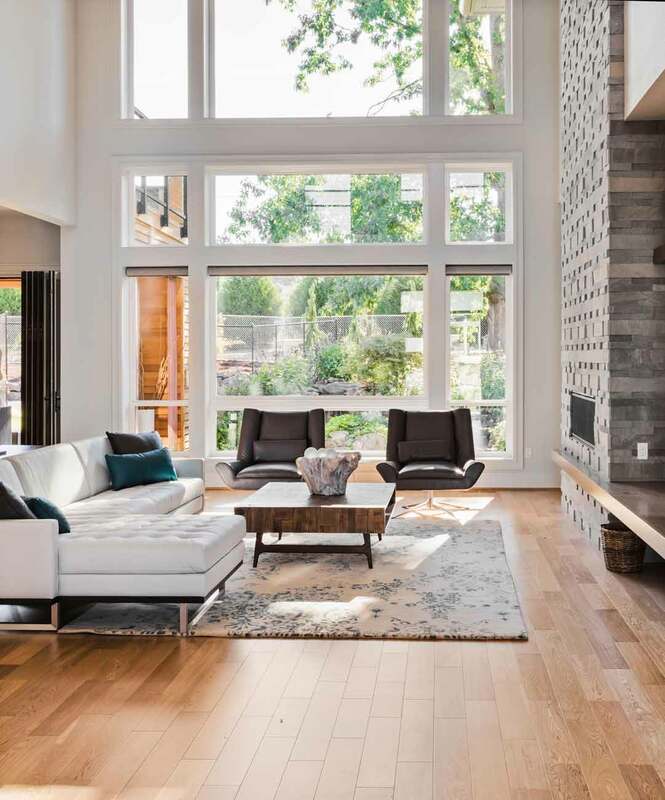 The durability of certain timber allows for some hardwood floors to last well over 100 years – depending on how they were treated and cared for. 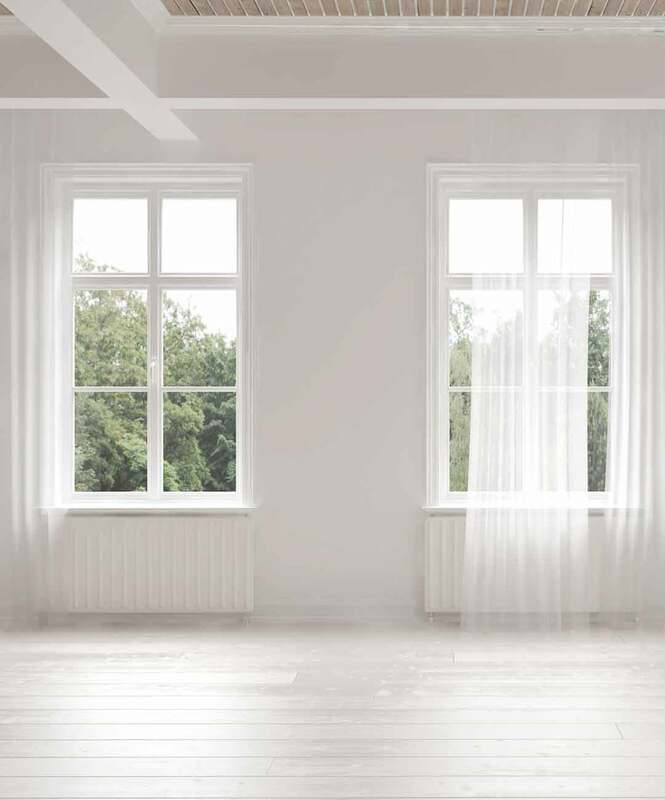 Conversely, sometimes floors as new as five to ten years of age sustain an excessive amount of wear and tear or surface scratches. New or old, having your floors refinished will bring back their original luster and glory. Breathe new life into your floors with waxing, buffing, polishing or a complete refinish. Enhance your individual style by incorporating visually striking design elements such as chevron, herringbone, basket weave, random or brick patterns. Or perhaps you would like fully-customized inlays or medallions. 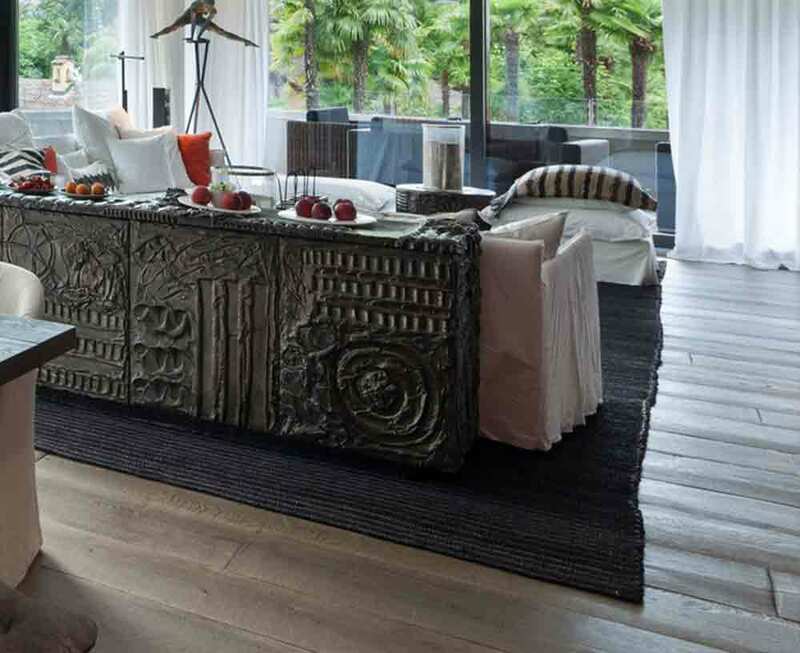 Your home is an extension of your personality and style and should be as unique as you are. There is no limit to design options when it comes to your hardwood flooring opportunities. 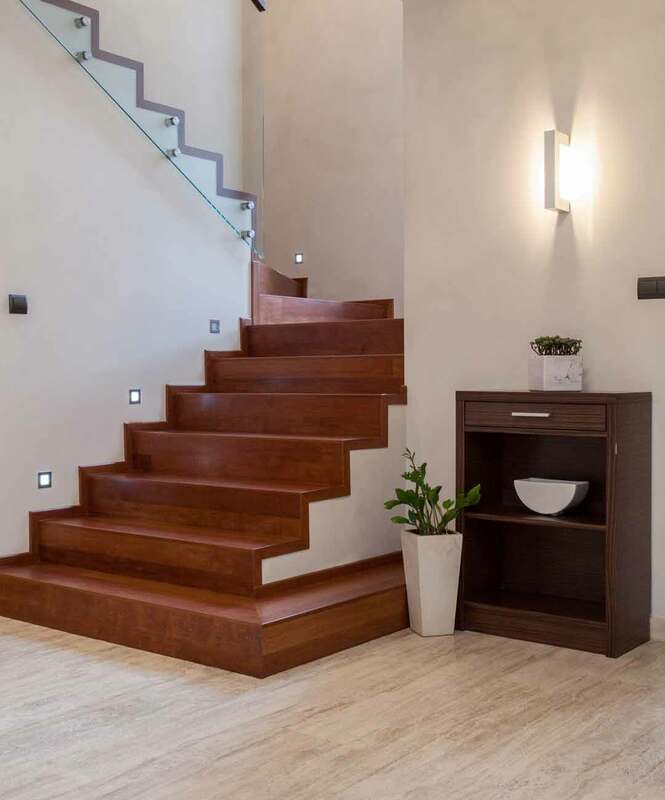 Your floors wouldn’t be complete without a beautiful staircase that matches the style and elegance of your new hardwood floors. Carry the look through with identical materials, texture, color and finish. Learn how to maximize the life and performance of your handcrafted hardwood floors. After each project we complete, we explain how to care for and preserve the natural beauty and integrity of your new floors. We do our part in caring for the environment and your home, with state-of-the-art, eco-friendly vacuum systems that consume nearly all dust created from sanding your hardwood planks.